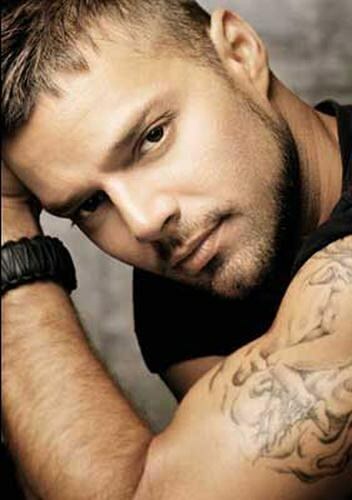 Miami Church Wants Univision Fined For "Obscene Interview" With Ricky Martin - Joe.My.God. On November 2nd, 2010, Univision broadcast a program called: Ricky Martin… Without Secrets, in which he spoke of having his first sexual encounter when he was 15 years of age and that, after having slept with women, he had relations with men. Afterward he felt confused until one day when he was being interviewed he felt attracted to the reporter who was interviewing him. To the point of falling in love with that man. Presenting himself as being ultra-successful, showing images of his 10 million dollar house, riding a sport motorcycle through the streets, walking through the beach and then, showing images of his concert, in front of thousands of young folk, he presents himself as the role model to follow for the children who watched the program at the child friendly hour of 7 to 8 pm. As people who valor the principles that gave birth to this nation, we have decided to say ‘enough’ with these shows that violate the innocence of our kids and promote confusion at a time in which our youth are developing. Univision’s complicity in transmitting this message deserves, on our side, our complaints before the FCC – the entity that regulates media in the Unites States – which says that any pornographic, indecent or obscene content can be reported as a complaint. Got that? Merely interviewing a gay person is obscene and pornographic.